When you start looking into Spielberg films, there is one actor that has worked with him 3 times before in ‘Saving Private Ryan‘, ‘Catch Me If You Can‘ and ‘The Terminal‘ – Tom Hanks. 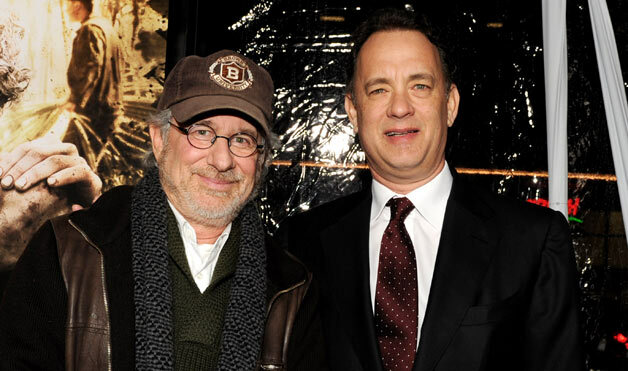 Hanks is talented and venerated in his own right, but working with Spielberg can only equal success, as it has in the past. The two are working together on a just announced Cold War thriller. Hanks will star as James Donovan, a prominent American attorney enlisted by the CIA during the Cold War to slip behind the iron curtain to negotiate the release of a pilot captured when his U-2 spy plane was shot down over Russia. This will undoubtedly be another block-buster for the talented team. 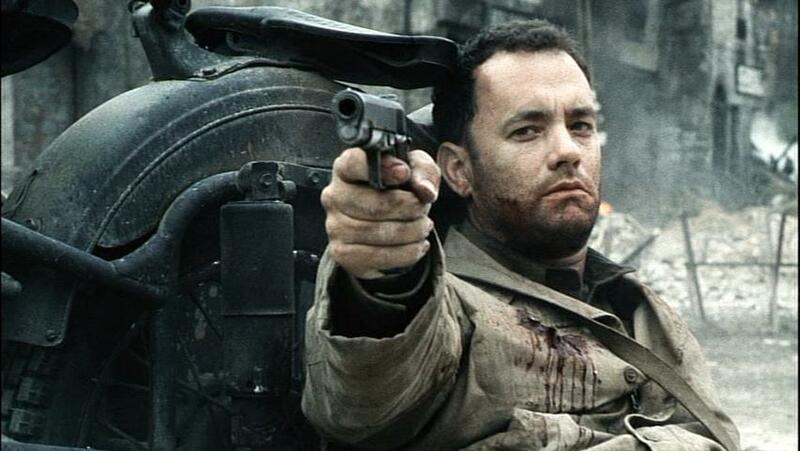 ‘Saving Private Ryan‘ was a realistic, up-close, unapologetic look at the ugliness that is the reality of war. There are some films that you should see in theaters to get the full-experience of what it’s capable of, Ryan was one of those movies. When you watch a leg that’s 5 feet tall get blown off, it leaves one hell of an impression on you, for me it was that this movie is NOT an ideal first date movie! It won 5 Oscars and was nominated for many others. This film set the bar against which all other war flicks would be measured by, and it still is in a lot of ways. Hanks was such an enigmatic and inspiring leader as Captain Miller that I caught myself guessing what Miller had done in his civilian life right along with the selected 2nd Rangers that made up the search party hunting for the pivotal Private Ryan. I love all kinds of war movies, from ‘The Green Berets’ to ‘Lone Survivor‘. I’m definitely going to be watching this one! Here’s The Latest on Steven Spielberg’s New Projects!! This entry was posted on Tuesday, April 22nd, 2014 at 8:18 am	and is filed under Film, News. You can follow any responses to this entry through the RSS 2.0 feed. You can skip to the end and leave a response. Pinging is currently not allowed. « Joss Whedon’s ‘In Your Eyes’ Premiering on Digital Platform!!! [about Focker Isle] We have to get out of this place. It is EVIL.